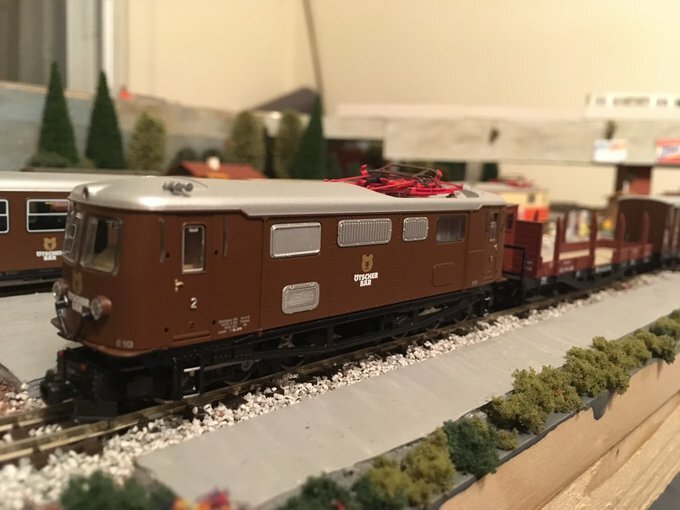 Due to the cold weather (and unheated house) there hasn't been a great deal of running on the layout this year so far though that changed at the weekend where the active fleet all got a decent run. The Bear still sounds like a bag of spanners when headed in one direction, it's sister loco Jam also makes a bit of a noise too though not as bad. Hopefully all Bear needs is a bit of running in. Though Bear only has a month before it is scheduled to be replaced in the active fleet by Growler so we'll need to maximise running opportunities with the loco over the next few weeks. The church of the Holy Trinity was the former parish church of the now lost village of Lower Ettington (only Upper Ettington still exists about two kilometres away, nowadays just called Ettington) next to the river Stour. 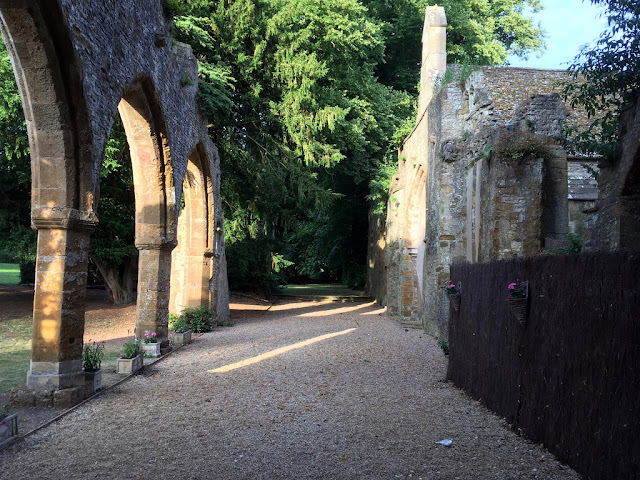 The ruins of the church are in the grounds of Victorian great house Ettington Park which is now a hotel. The church of the Holy Trinity (sometimes also known as St. Nicholas') was built in the thirteenth century in the Norman style with later additions including a fourteenth century North arcade . 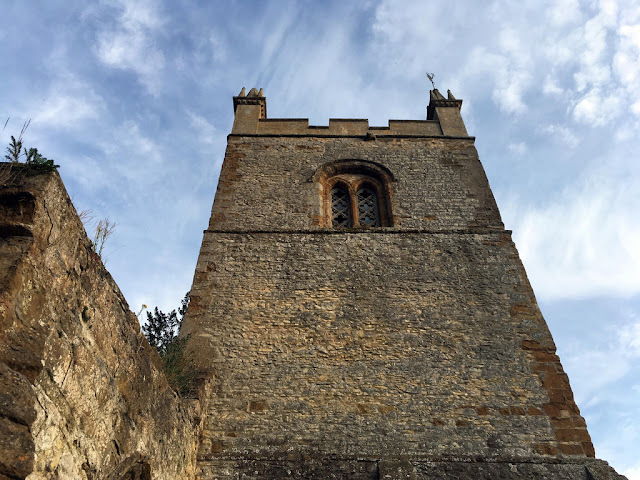 It had a West tower, a chancel, a nave and North and South transepts . Lower Ettington was abandoned in the eighteenth century, the church had already by then been replaced as the parish church by one in Upper Ettington. In the early nineteenth century the church was partially restored to act as a private mortuary chapel for the Shirley family. Nowadays only the South transept and the tower are intact with the rest of the church in various degrees of ruin. "Parishes: Ettington." 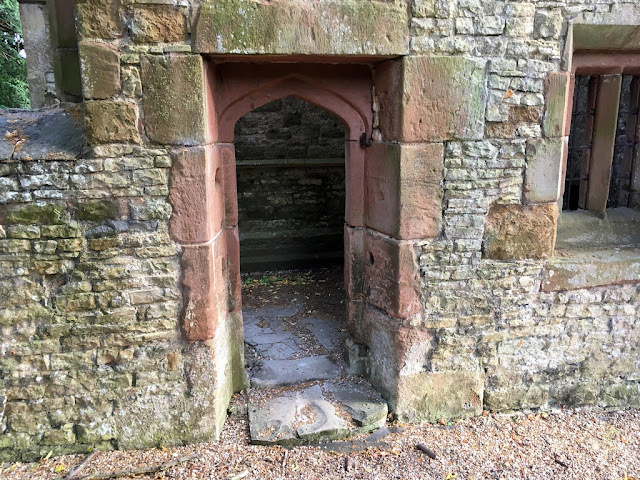 A History of the County of Warwick: Volume 5, Kington Hundred. Ed. L F Salzman. London: Victoria County History, 1949. 77-84. British History Online. Web. 26 February 2019. http://www.british-history.ac.uk/vch/warks/vol5/pp77-84. 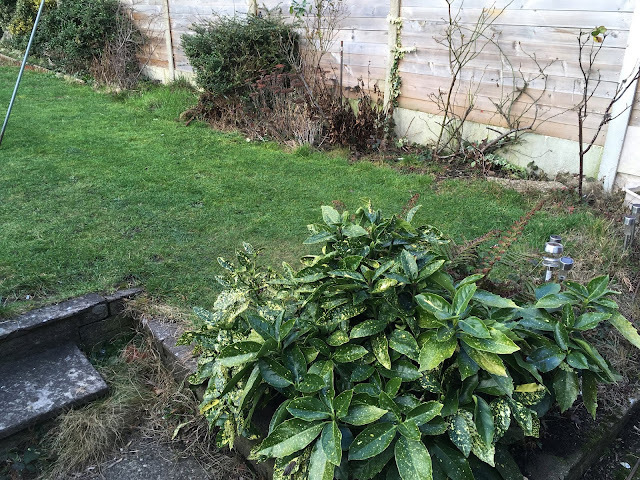 The mild start to the year meant that I was able to cut the lawn last week. However I think we should be a bit cautious before we think Winter is over as March last year saw a lot of snow. This year's major project will be the second raised bed which will have some shrubs. The original raised bed will also have a bit of an overhaul as it's starting to get a bit frayed and worn. At the moment though all there is to do is cutting and chopping! A few years ago I wrote my dissertation on how the horse-drawn tramway from Stratford to Moreton-in-Marsh affected the economy of Stratford-upon-Avon in the nineteenth century. 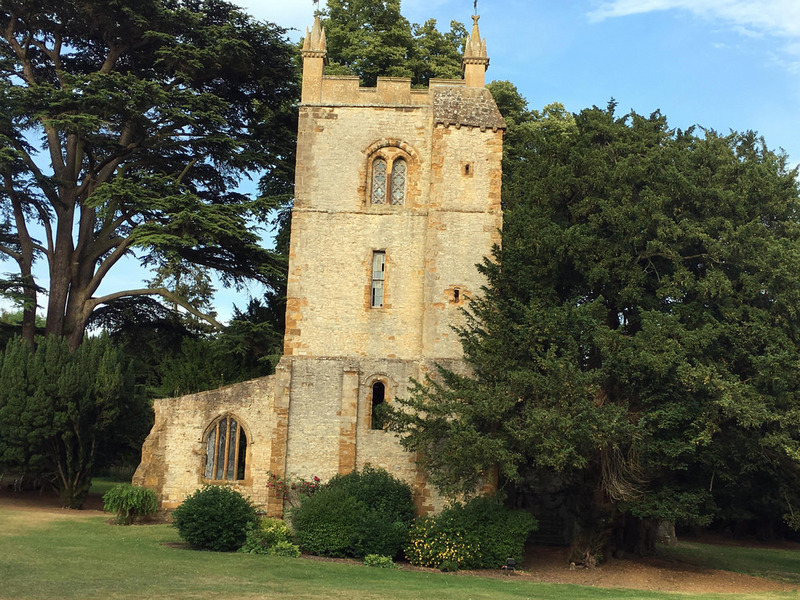 Until yesterday though I had never actually been to Moreton-in-Marsh which is a rather delightful town in the Cotswolds. There arn't really any traces of the old tramway left but there were a lot of lovely old stone buildings. Moreton is a bit touristy though like Stratford (a bit more than I'd like), signs at the railway station were in English and Japanese! But you can understand the appeal. You can see my photos here. A WMR train passes through Claverdon. 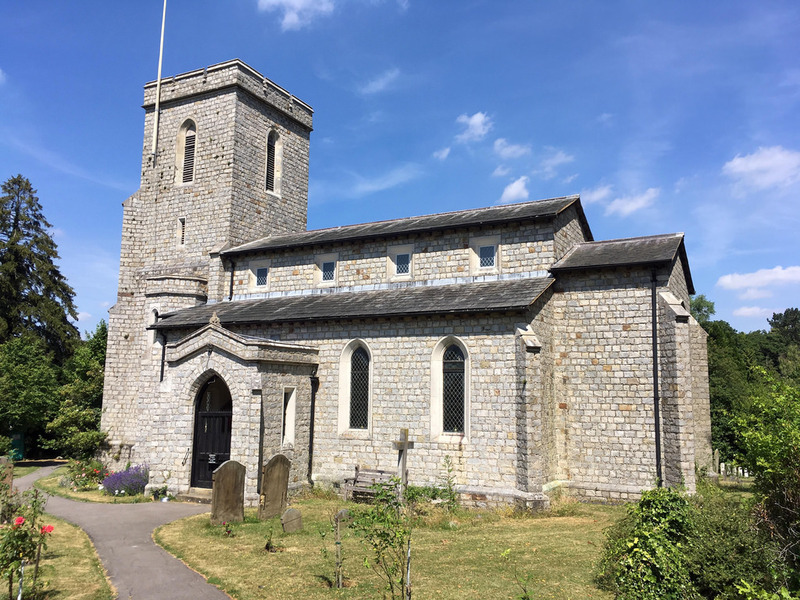 Despite appearances the parish church of St Michael & All Angels in the Buckinghamshire village of Halton is a fairly modern construction dating to 1813  though designed to some extent in the style of a thirteenth century church . 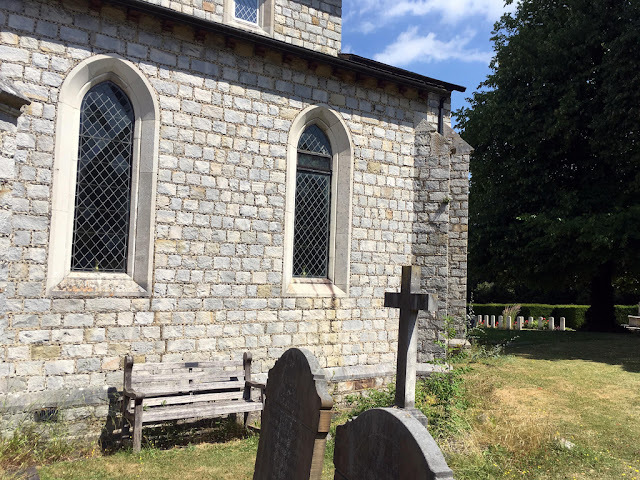 It was built on the site of an older church though little external trace of that church now remains, just some stone curbing which marked the old chancel wall. 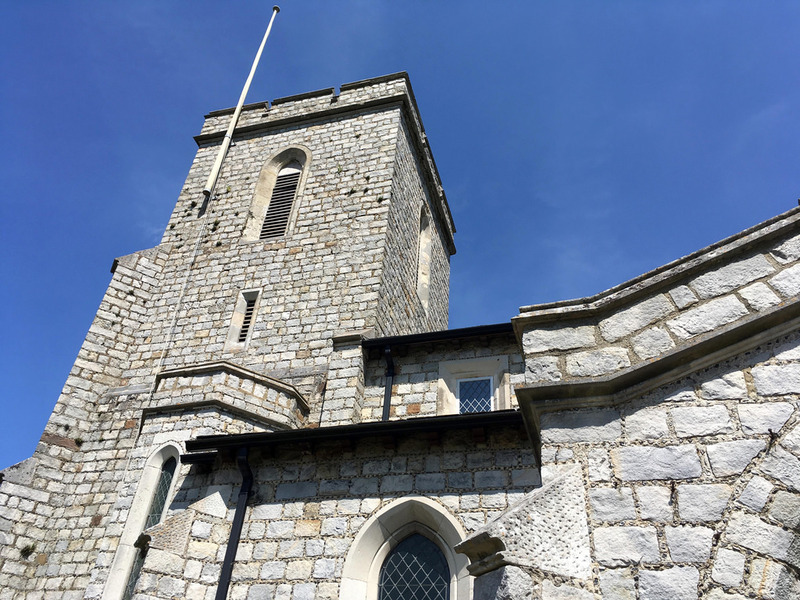 The current church was built from grey stone and flint. St Michaels has a tower to the West, a nave and aisles (probably a later addition either side of the nave and a bit too slim for the style adopted for the church). Inside the church are traces from the older church such as a brass of Henry Bradschawe and his wife dated 1553 plus a church plate of a similar vintage. "Parishes: Halton." A History of the County of Buckingham: Volume 2. Ed. William Page. London: Victoria County History, 1908. 339-341. British History Online. Web. 19 February 2019. http://www.british-history.ac.uk/vch/bucks/vol2/pp339-341. Phase 1 of the tram is shown in yellow on the plan above, it was quickly followed by phase 2 which needed a board extension and gives the tramline it's current terminus. 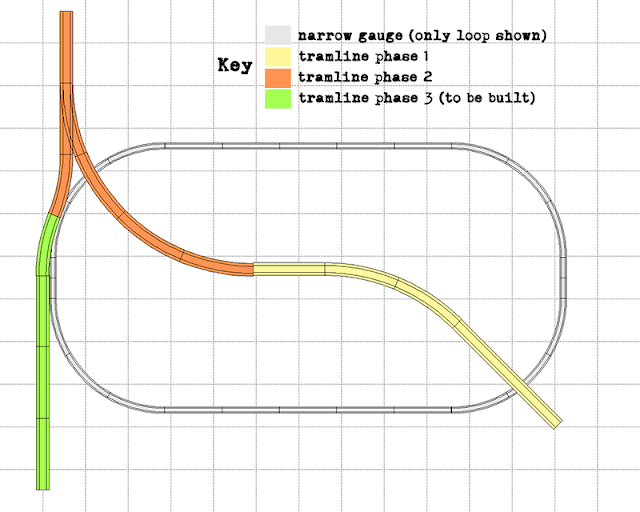 Phase 3 is shown in green and will require a new board which will be on top of the existing layout. This will also provide a good backdrop to the left side loop of the main line. It shouldn't prove too difficult to built phase 3, the hardest part will probably be to find a suitable piece of wood! Yesterday I went to Long Buckby in Northamptonshire. It is a pleasant little town (or maybe should I say large village) with a pretty church and remains of a castle. Though Buckby Castle nowadays is just a mound. 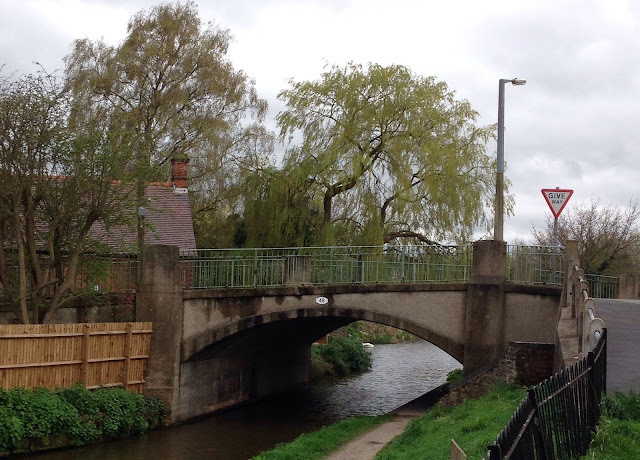 I took photos of Long Buckby which you can see here. I also walked down about three kilometres to the Grand Union Canal at Buckby Wharf, an "interesting" walk on a country road without a pavement! 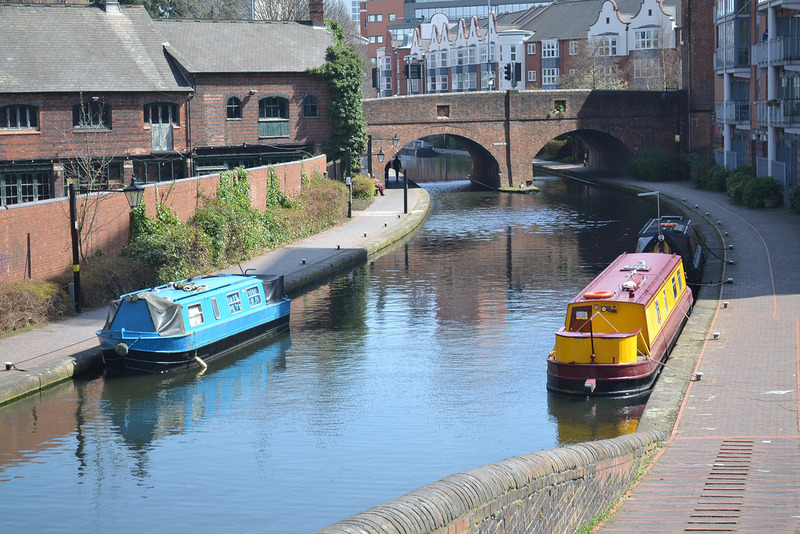 You can see my canal photos here. A West Midlands Railway train arrives. 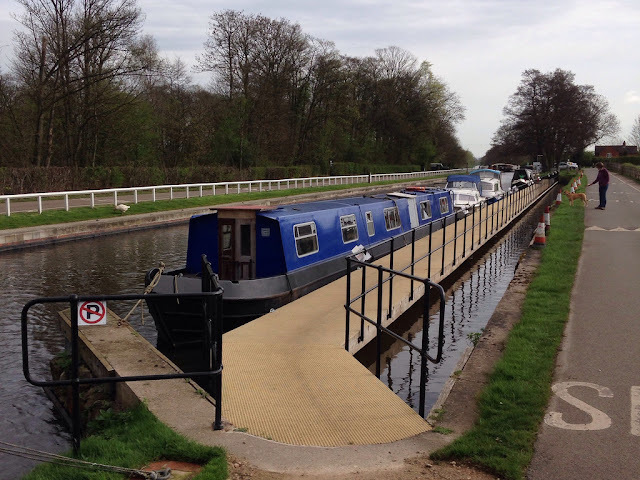 The Trent & Mersey Canal links the North West and East Midlands. 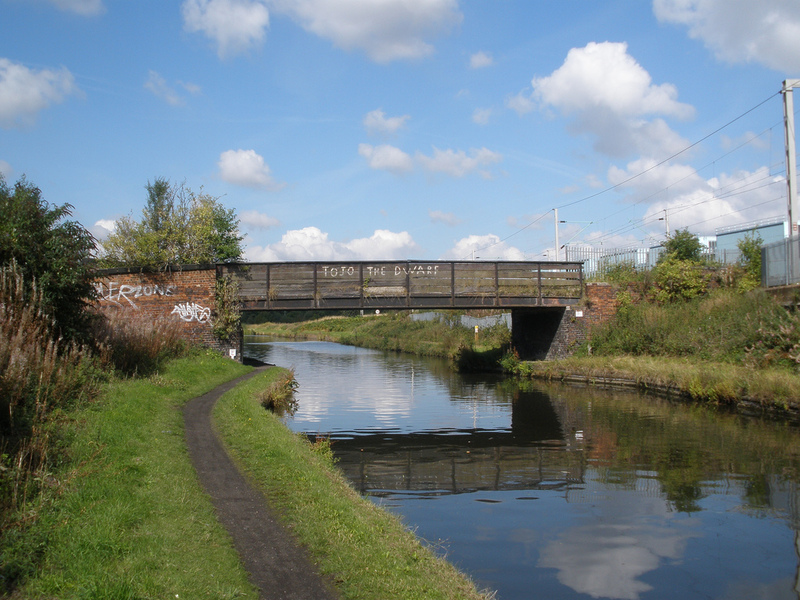 The canal was intended to link the rivers Trent and Mersey with another link to the Bridgewater Canal. Plans began to be made for the canal in the mid-1700s with support coming from Josiah Wedgwood who wanted the canal to transport his pottery factory wares in Stoke-on-Trent. In 1766 work finally began on the canal, Wedgwood himself cutting the first sod of soil. The canal was completed in 1777. 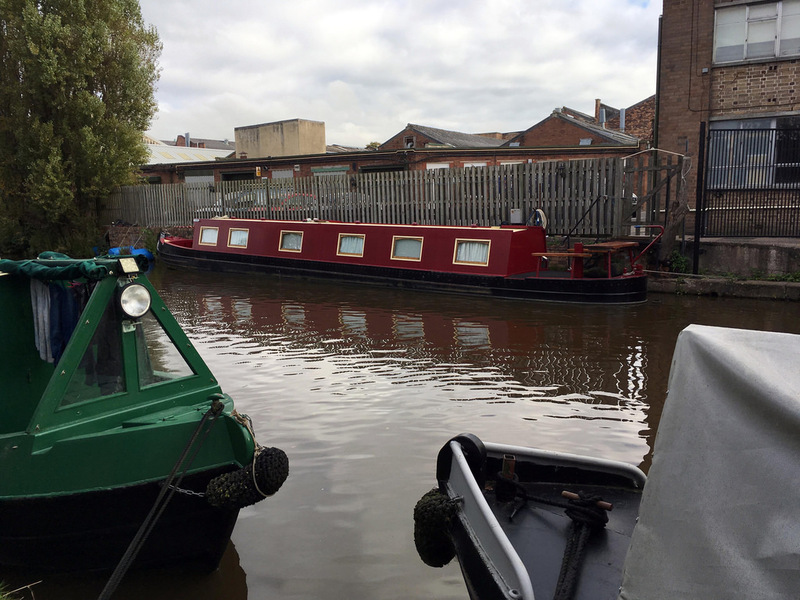 The canal is still fully navigable from it's junction with the Trent at Derwent Mouth in Derbyshire to the Bridgewater Canal in Cheshire. 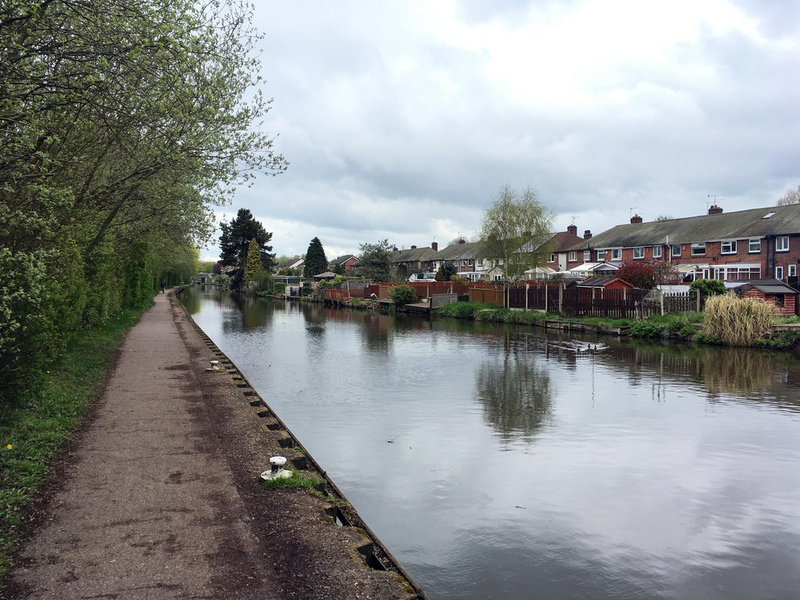 The Trent & Mersey Canal connects also to the Coventry, Shropshire Union, Macclesfield, Caldon, Staffordshire & Worcestershire and Erewash Canals along it's one hundred and fifty kilometre route. 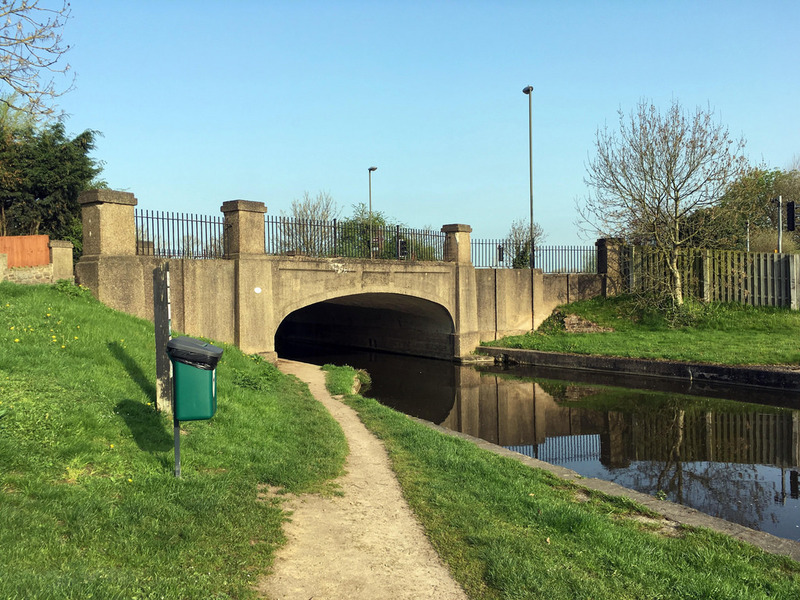 Building the canal meant overcoming a number of formidable obstacles and the canal includes Harecastle Canal which is over two and a half kilometres long and the Anderton Boat Lift which lowers boats over fifteen metres to the river Weaver. A couple of years ago I bought a couple of working colour light signals. They were supposedly N gauge (my layout at the time was N) but looked a bit chunky. To be honest they don't look far off the right size for the HOe Birches Green layout. However I have decided not to use them as they look a bit... well cheap. I've bought this kit for a number of dummy signals. 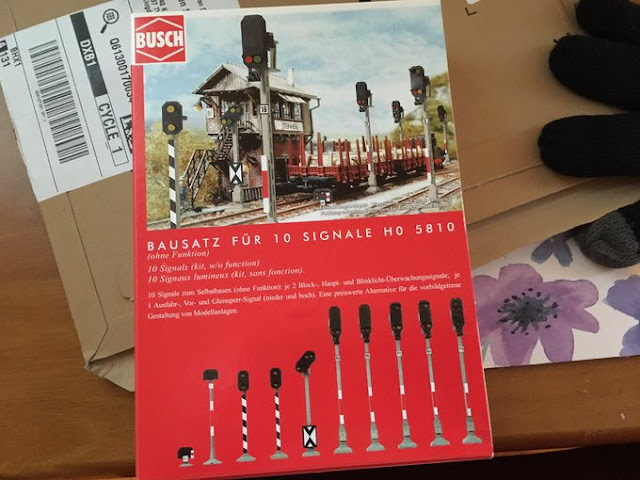 Hopefully i'll be able to build them and install them around the layout over the coming weeks. Usually Saturday is the day to travel by train (as happened yesterday) but today - for a change - I also travelled to town via train instead of the bus. I made use of the free park and ride facility at Chester Road. I must do this more often. I didn't go very far for my trip this week due to illness though still ended up walking quite a way! I went to Leamington Spa and then walked up it's suburb Lillington, a former village dating from Saxon times, to have a look at it's rather lovely old church and also check out the Midland Oak. Supposedly this is the centre of England, though wasn't that supposed to be Meriden? Or in fact somewhere in Leicestershire? Anyway you can check out my photos here. A Cross Country train arrives at Narborough. 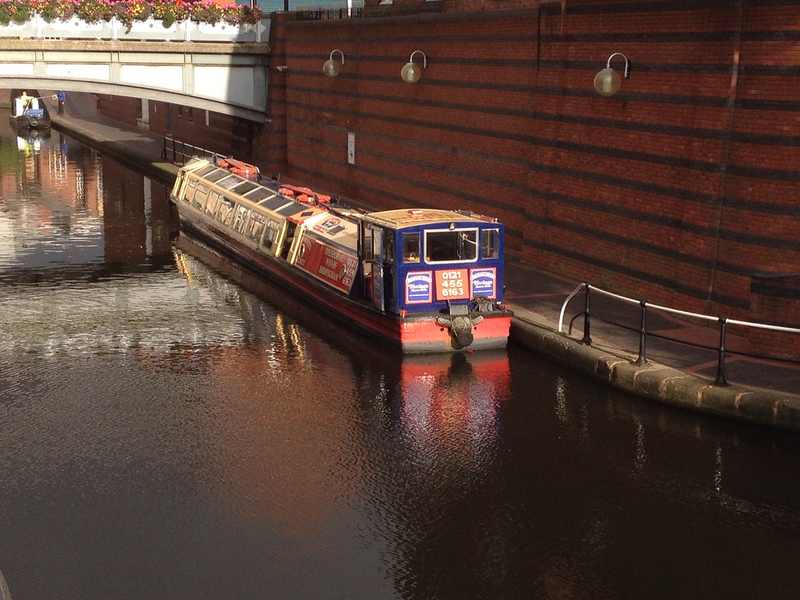 The Main Line of the Birmingham Canal Navigations is from Birmingham to Wolverhampton. 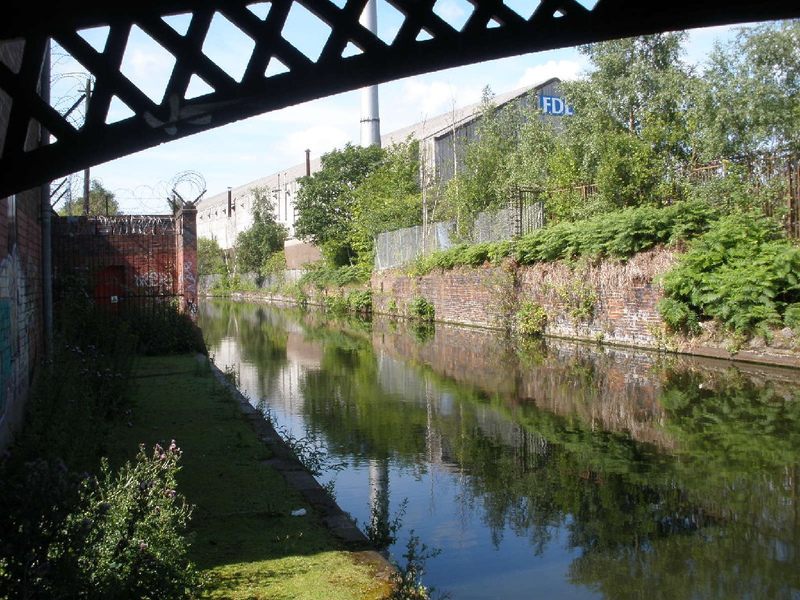 The original canal was built in the 1770s but later regarded as too indirect and complicated with various arms and diversions. Smethwick summit with it's lock flights was a major bottleneck for traffic. 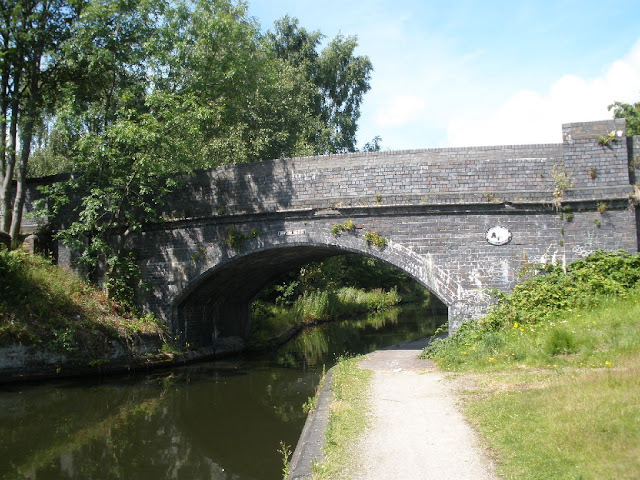 On the advice and direction of Thomas Telford the New Main Line was built in the late 1820s. This was a much more direct route that cut across the various loops of the old main line. The Smethwick summit was also bypassed by creating a cutting, later known as the Galton Valley. 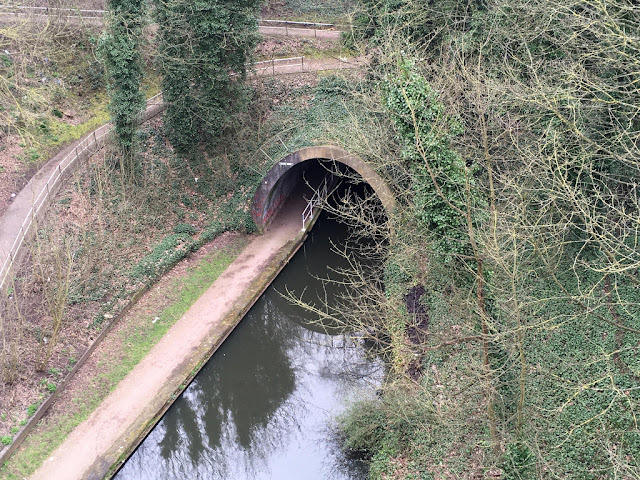 The New Main Line was completed in 1824 with the route distance between Wolverhampton and Birmingham cut dramatically and much of the new canal wide with dual towpaths. 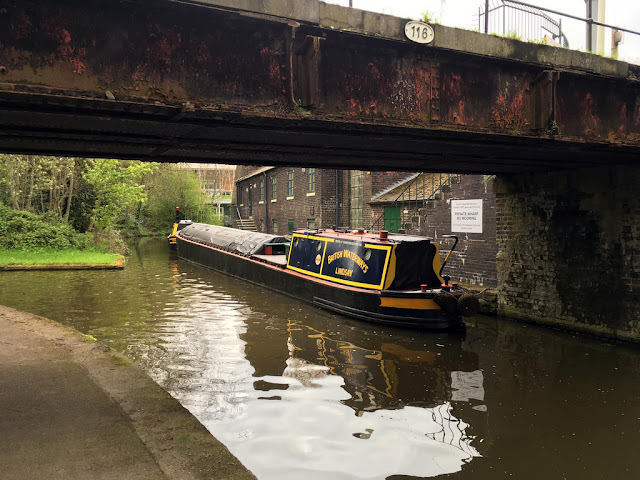 A major problem with the old canal had been the awkwardness of multiple canal boats with their horses on a congested towpath. The New Main Line (and surviving bits of the old one) survives today. Galton Valley has ironically been partially filled in to allow for a road. New tunnels were built in the 1970s. The New Main Line stretches from the centre of Birmingham where it connects to the Birmingham & Fazeley and Worcester & Birmingham Canals to Wolverhampton and a junction with the Staffordshire & Worcestershire Canal. 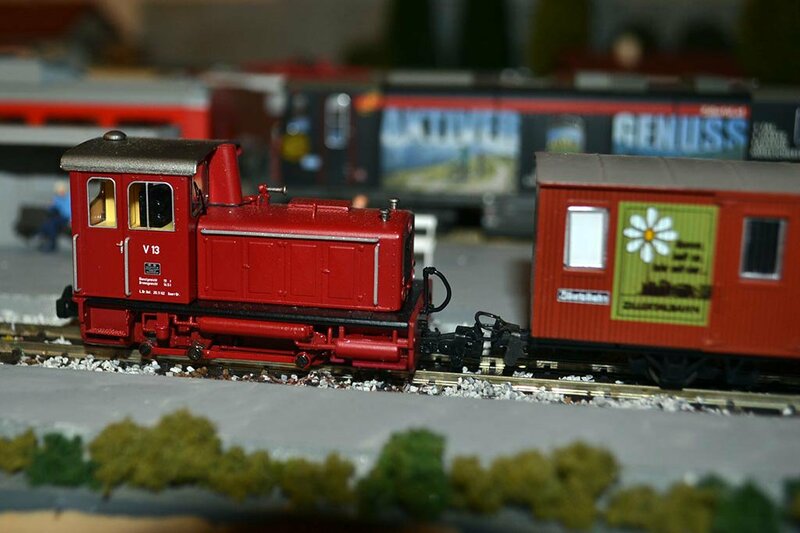 Building a model railway isn't just about what you build on the board, it is also about the infrastructure around it. Last year I installed a sun blind in the layout room, probably one of the most important things I've done for the layout! The room is East facing so gets strong sunlight in the morning, hopefully the blind should prevent any sun bleaching to the layout and especially the rolling stock. The latest addition has been an improved light replacing the lamp which I was using earlier. The new light is much higher up and so provides much more usable light. The old lamp was ok but parts of the layout were in perpetual shadow. Now its a lot easier to see most parts of Birches Green! Due to the bad weather in the UK this week (though the snow completely missed Birmingham) I decided to stay pretty local for this week's trip. I went to Hampton-in-Arden which is in Solihull and is indeed pretty close to where I work though I went on the train of course. It is a lovely little village with a fine old church and some other old buildings of interest. On the way back I stopped off at Marston Green and Lea Hall, the stations closest to where I was born and where I lived for the first time respectively. In Lea Hall's case it was the first time I had ever been to the station. You can see my Hampton-in-Arden photos here. A new GWR Class 800 departs Honeybourne.